There is an urgent need to improve the recycling of technical plastic parts (TPP) in the EU, says Plastics Recyclers Europe (PRE, Brussels / Belgium; www.plasticsrecyclers.eu) in its Technical plastic parts strategy paper. Obsolete waste management practices need to be overhauled, collection systems need to be improved and expanded, and additional sorting infrastructure is required, it says. Consistent and stable legislative framework is also a prerequisite to boost investors confidence, it adds. 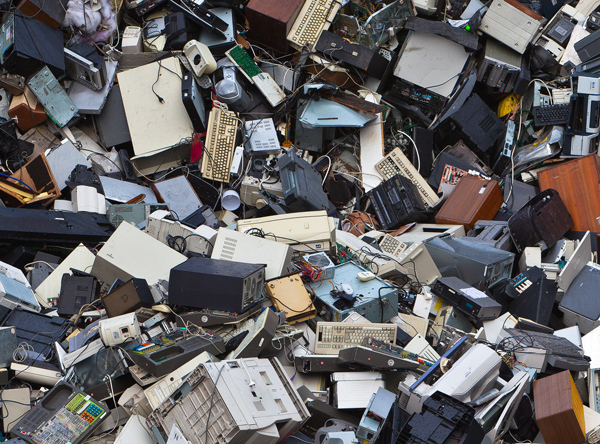 Exports of plastics scrap need be controlled, says PRE, and free circulation of waste electrical and electronic equipment (WEEE) should be enabled across EU member states. Best practices and certification methods need to be harmonised across the EU to increase the legal certainty for the end-of-waste criteria. EU-wide certification for recycling facilities would ensure waste traceability and guarantee the highest standards to which a recycler must operate. Plus, the association says legal requirements should enable the appropriate management of substances of concern. Antonino Furfari, managing director of PRE, says the recycling of TPP has not yet been fully exploited. This will require extra effort to guarantee the conditions necessary for the recyclers of technical plastic to boost further investment, with the goal of transforming this material into a high-quality product. Improvements in the recycling of TPP will require strengthened collaboration and coordination between the electronic appliances manufacturers, automobile manufacturers, sorting centres, waste management companies and recyclers. Technical plastics, also known as engineering plastics, are mainly used in the E&E, automotive and trasport sectors. WEEE consists of many polymers, including engineering thermoplastics such as ABS and polycarbonate see Plasteurope.com of 30.08.2018. Their use has been growing steadily over the past decade, as they are lighter, more durable and provide increased safety compared with other materials, says PRE. The growing trend towards digitalisation means that their production and use will continue to grow quickly. The generation of waste from E&E in the EU is continuing to grow, with an expected increase of 46% between 2000 and 2020, according to the association. As a result, Europe faces growing amounts of waste from TPP. Recycling rates remain low, even though facilities and technologies to treat them do exist and are operational on an industrial scale. For example, only 300,000 t of WEEE was destined for recycling at specialised European facilities in 2017, while the recycling capacity was about 3m t.
Given technological developments in the recycling sector and the adoption of circular economy policies at EU and national levels, a growing number of leading companies in Europe have started using recycled materials. In the near future, fully recyclable and recycled TPP in the automotive and E&E industries will potentially become the EUs circular model that could be exported to non-EU markets, says PRE. In addition, new recycling technologies involving chemical reactions that transform plastics waste into feedstock will further improve the quality and quantity of recycled plastics. For TPP, when developed at industrial scale, these technologies will ensure that a wider set of highly contaminated plastics is safely placed back on the market in the form of clean recycled plastic products. The main challenge, PRE says, is to adapt business models and manufacturing processes.